I would like my default bash shell to go straight into tmux instead of my always having to type tmux every time. Also note you shouldn't wrap tmux attach with exec, as this would cause the connection to be closed when there are no tmux sessions to attach to. 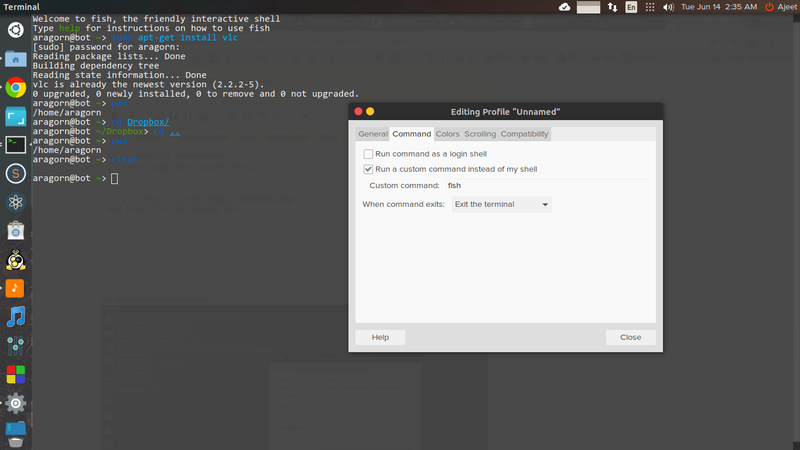 There is command chsh which changes login shell. Consult man chsh. in my .zshrc. If you're using bash, put it in your .bashrc instead. I also just tried setting tmux as my default shell (chsh -s $(which tmux)) and it seems to break direct command execution via SSH, e.g. ssh $some_server echo foo will not produce any output. None of the above responses worked for me - exec tmux prevents me closing tmux without quitting the shell (whether it's opened with Ctrl + T or from the application menu). I use Linux Mint, which lets you map certain hotkeys to commands, and (un-kosher as it may be to some..) I've got bash shells with commands starting up there, e.g. Win+Alt+B does some sort of convoluted bash -exec(vim) statement to edit my .bashrc, so it acts like a regular shell. tmux loaded rather than vim under that situation after placing the above at the top of my .bashrc. I've wrapped the tmux executing line in another if statement, checking that it's running in interactive mode. You could wrap all that onto one line but for readability I think that's fine. And then click to "command" bar. Check the "Run a custom command instead of my sell" and write whatever command you want to execute at the startup of your terminal. If tmux has-session returns with a zero exit status (true), there is an available session to attach to. Attach to it. If not, create a new session. It's also possible to use tmux as your login shell. If you do this, however, make sure to set default-shell to an actual shell in your ~/.tmux.conf file (see the tmux manual for more info about this). Just remember to modify the path at the end of the line. I combined the extensive checks, with the conditional session checking, and put my own spin on it, to create a default session that is connected to or else created. Unless you are inside of another tmux session, or other protective conditions are met. 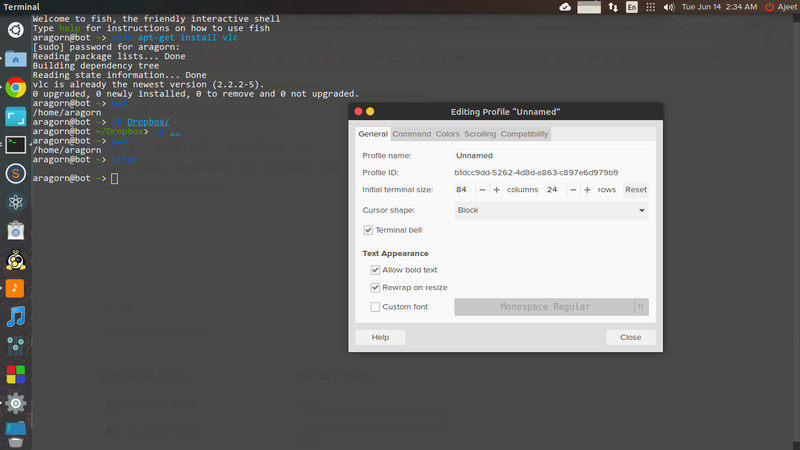 As Mikel already stated in his comment to have tmux as your login shell can have side effects. But you can make tmux your default shell, literally. A user's default shell is defined in /etc/passwd. So you can become root and edit /etc/passwd, e.g. sudo vi /etc/passwd search for the line that begins with your username. It probably ends with :/bin/bash. Change /bin/bash to /usr/bin/tmux and now tmux is your default login shell. However, no guarantee that this won't cause problems! What may work better is to NOT do anything that requries root privileges. I would try to create a file in my home directoy named .bash_login and start tmux from within that file: `echo "tmux" >~/.bash_login. This should work, but you have to try and find our yourself, b/c the bash documentation is not very exact about what file is read and executed when. Not the answer you're looking for? Browse other questions tagged bash shell terminal tmux bashrc or ask your own question. Can I use Shift-Space in a tmux keybinding? How to start tmux upon running terminal?